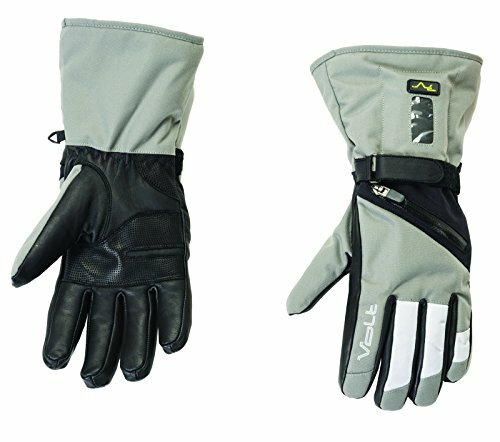 These waterproof nylon performance gloves will provide hours of safe, low voltage heat. Using the soothing 7v heating technology, the gloves will provide warmth throughout the entire length of each finger. The outer nylon shell and reinforced palm make for a great fit but also adds durability. They also include a breathable waterproof membrane and a soft tricot lining. The battery pocket is located in the middle of the glove for easy accessibility. The battery pocket opens and closes with a strong waterproof zipper and has a display window so you can see the power level setting. This window will allow the user to easily adjust the temperature to one of four power level settings without taking the battery out of the pocket. An adjustable nylon wrist strap and strong elastic cinch cord at the cuff helps to seal out any unwanted cold air or moisture. If you have any questions about this product by Volt, contact us by completing and submitting the form below. If you are looking for a specif part number, please include it with your message.